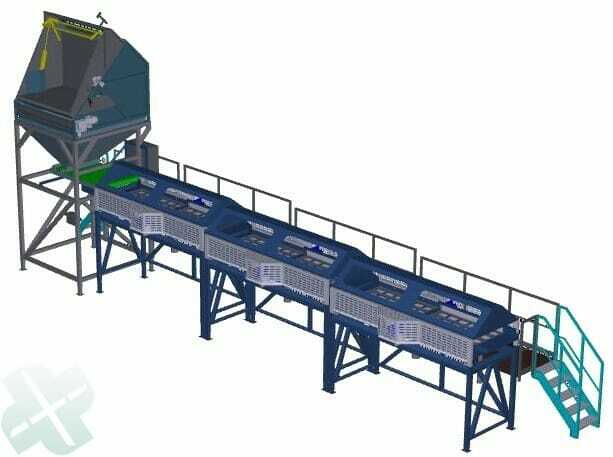 The segmentation of the seeds is done by flat screen sizers which are provided with sieve frames with electric vibration motors. The vibration motors take care for an excellent movement of the sieve frame and this result in a very accurate seed size segmentation. 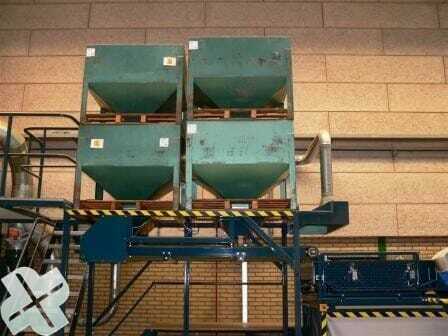 One sieve frame can hold 2 sieves. This can be sieves with round or slotted perforation. 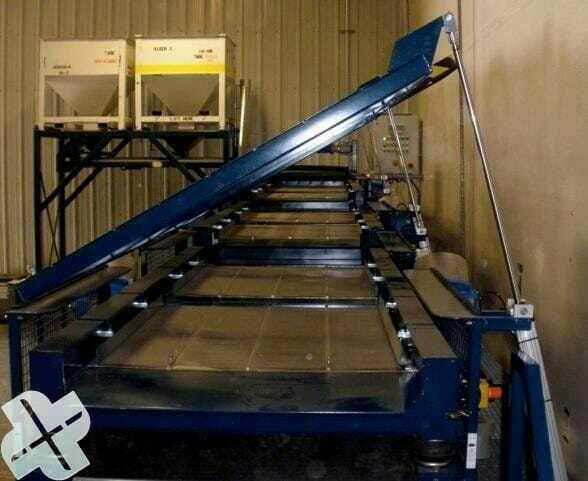 By placing the flat screen sizers in line, seed lots can be calibrated in 3,5,7 or more fractions at once. Other sizes available. 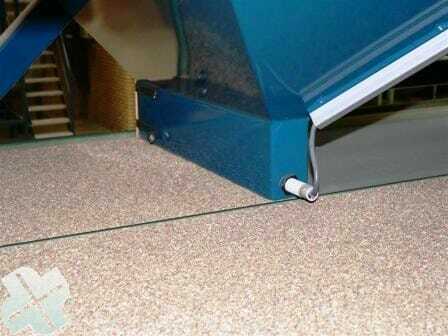 The screens are made with round and slotted holes. Seed can be supplied by hopper bins or with a box tipple unit. The seed supply unit for hopper bins can hold 4 hopper bins. 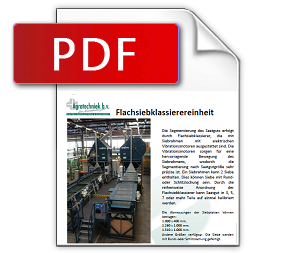 The seed supply is done by a feeding belt. 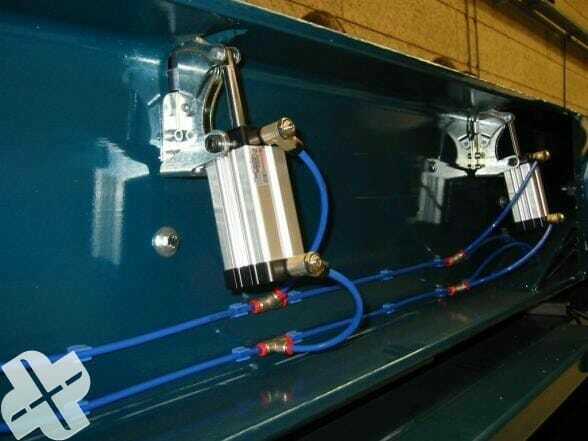 The speed of the dosing belt is adjustable. This result in a very smooth and uniform seed supply. 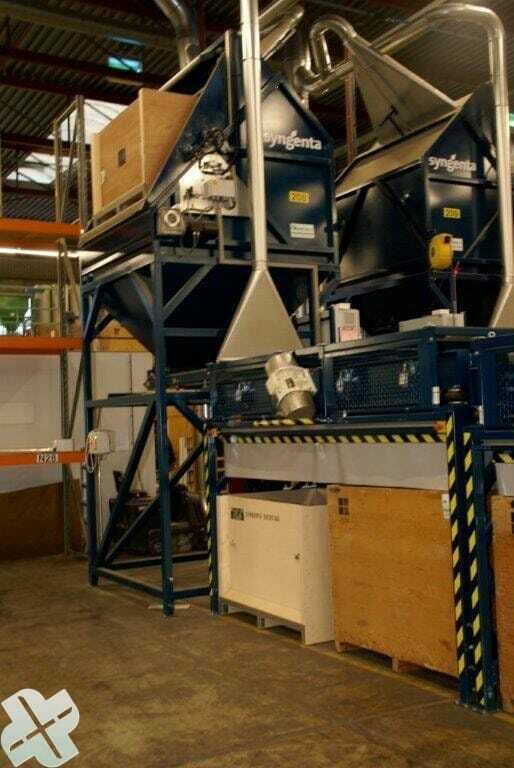 The seed supply can also be done by a box tipple unit. The tipple unit can empty different kind of storage bins. 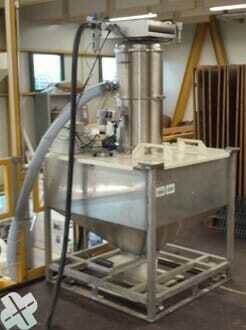 The seeds will be collected in a funnel shape bin and from there dosed to the sizer by a dosing belt. 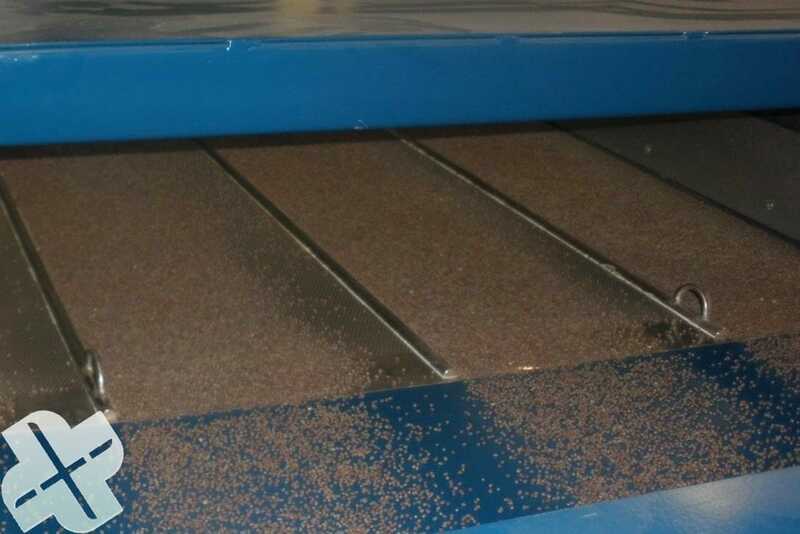 Continues seed supply by vacuum systems on a hopper bin. The hopper bins on top dose the seeds in the lower hopper bins. 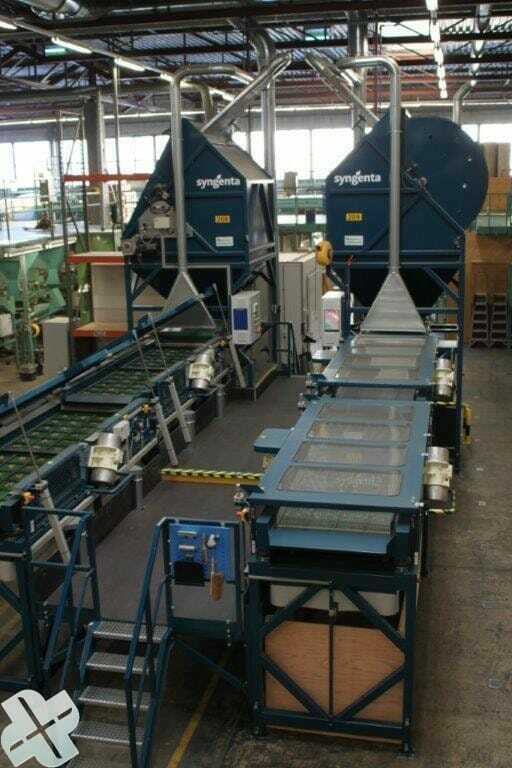 From there seeds will be transported by a belt to the flat screen sizer. 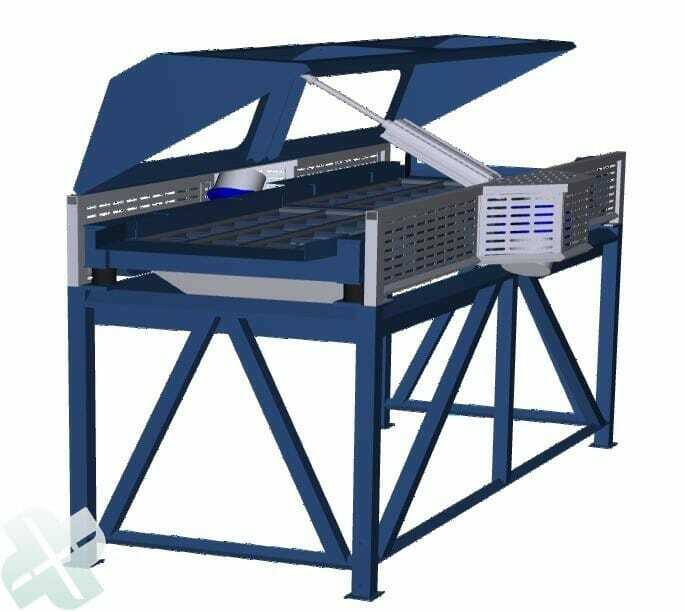 The sieve frame stand on four air shock absorbers and two vibration motors take care for the movement of the sieve frame. 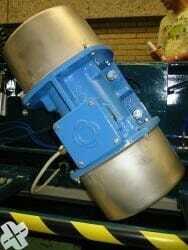 This combination result in an excellent movement of the sieve frame and a very good and accurate calibration process. Other real benefit is that the flat screen sizer is very quiet and that the main frame does not vibrate and send no vibrations to the floor. Sieve plate is 100 cm wide. 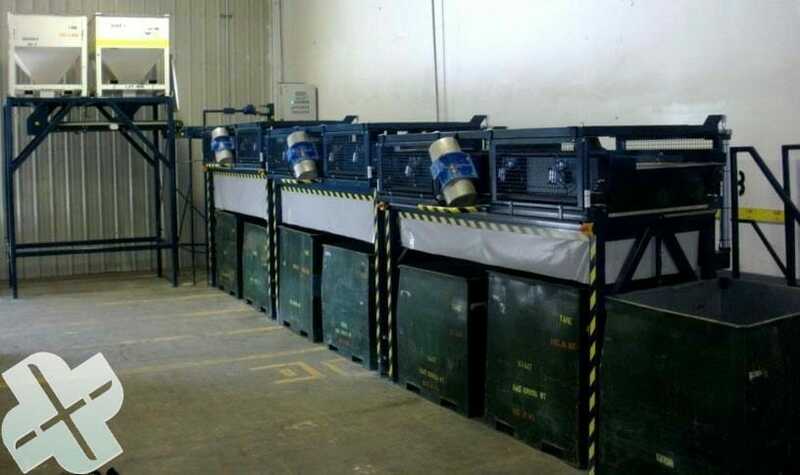 High capacity with excellent accuracy will be a achieved because of the big screen surface.